The Pannahouse Invitationals is the world’s premiere panna competition for high-level street footballers and panna specialists. 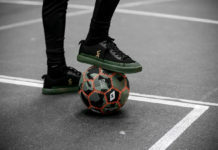 Returning for a second year, the tournament features 1v1 and 3v3 play for U15 and adults, and is organized by the Copenhagen Panna House (CPH), an incubator for ground movers and street footballers, and an influencer of street culture in Denmark and beyond. Feeding off of last year’s success and the incredible boom of unreal street football talent developing around the world, the 2017 Pannahouse Invitationals will now sport an expanded format, opening the competition to the public, with 3 qualifying rounds and a 2-day World Championship. While last year’s competition was a gathering for only the most elite street ballers, this year’s Pannahouse is accepting video applications from amateurs across the globe, who can earn a spot in the qualifiers and take a shot at balling with the big guns. The winners from qualifiers in Esbjerg, Copenhagen, and Aarhus will then join the best of the best at the World Championships from May 20 to 21 at the Street Mekka center in Copenhagen. 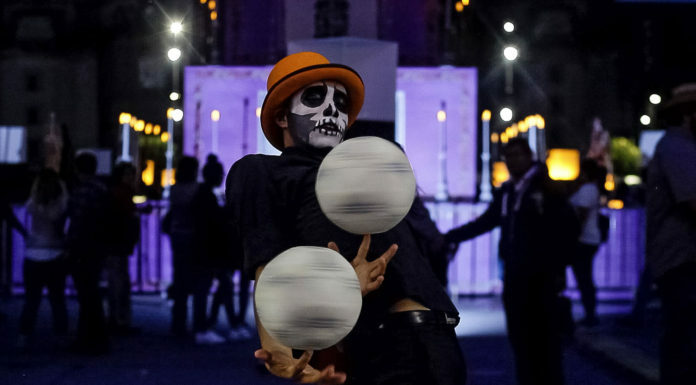 Kristoffer Liicht, co-founder of Copenhagen Panna House, explained that the caliber of competition is unlike any other panna tournament in the world. Some of the A-list invitees to the tournament include last year’s winner Soufiane Bencok, Séan Garnier, Ilyas Touba, and SISM’s Isaiah Escobedo. Day 1 of the finals will include a qualifying round and group stage, with day two whittled down to the top 16. In addition, like last year there will be a youth competition, where CPH’s own army of street ballers will face off against some amazing up-and-comers like Mehdi Amri and Shiou. In comparison to the normal octagon-shaped arena that will be used in the qualifying and group rounds, the final day of competition will occur in a larger, 6-by-6 meter square court with the usual tiny panna goals. The purpose of this is to increase the playing area to promote more focus on and points by panna. Last year’s champion and Belgium native, Soufiane Bencok is a problem. Not only is Bencok one of the best street ballers in the world, but he is a world-class freestyler as well. His mastery of both arts is a testament to Bencok’s skill and work ethic. Never catch yourself sleeping if you find yourself across Bencok in a panna cage. Doest’s infamous motto “Easy, Man!” probably comes from how he makes every move look so easy. The silky smooth Doest is a two-time panna world champion and was knocked out by Bencok in the round of 16 last year. Best believe that he will look to avenge that loss come May. Along with being a CPH co-founder, Benmoumou is a veteran of the European street soccer scene who has competed at the highest levels of street competitions. He will no doubt be showing up hard to represent his crew and will be a threat to win it all. You could compare Touba’s no-show in last year’s final to the first Pacquiao-Mayweather fight getting cancelled at the last minute. Touba will look to give the fans what they’ve been waiting for this year (albeit hopefully it’s more exciting than the actual Pacquiao-Mayweather fight). CPH’S very own Corneliusen is no stranger to the spotlight. 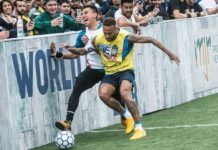 After winning the World of Street Football 3v3 competition in 2014, he went on to win the Adidas Be the Difference Championship in 2015 in front of a packed crowd that included stars of multiple UEFA Champions League teams. However, these powerhouses need to be wary of last year’s youth champion and much improved ALI JASSEMl, aka Jasseminho. At the age of 16, Jasseminho has advanced into the adult competition, where he will look to build off last year’s success. Other players to watch in the adult bracket include Poland’s Lotar, Belgium’s Thomas Stemgee and Hakim Amrani, Samir Kali of the Netherlands, Russia’s Elkhan Salakhov, Suell Osmani of Denmark, and Liicht himself. In the youth bracket, top contenders include Japanese wunderkind Shiou, U.S. rising star Boston Fitzpatrick, and Belgium’s Mehdi Amri. However, Liicht said to keep a look out for the Danish youngsters that have been improving at a ridiculous pace, like Noah Kofi and Frank Jobarteh. We have these weekly training sessions in which they come train with Copenhagen Panna House members, and you can tell their skill have increased exponentially. It’s insane. Copenhagen Panna House is an organization based in Copenhagen that provides a grassroots approach to street football. CPH hosts workshops, shows, and compete internationally as a team. Through their work, they promote the game and culture of street football in their home country and across the world. “The community needs to be strengthened in order to heighten the probability of the sport having success in the future,” said Liicht. This year’s competition will be live streamed by Whistle Sports on YouTube. For more information, visit CPH’s Facebook page and web site.